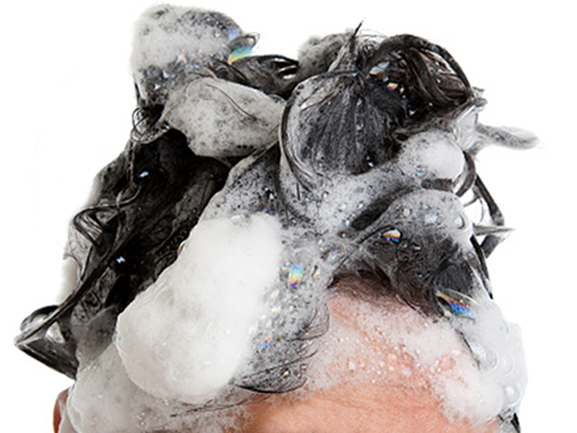 Call 1-877-685-1484 for a free sample! 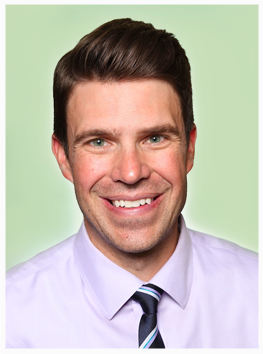 Meet the two-component system with one consistent bonding protocol across all procedures. eXTRa keeps the science separate. 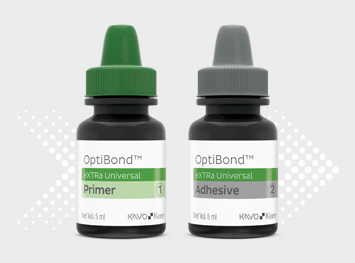 With one bottle built to prime and the other focused solely on adhesion, the new OptiBond™ eXTRa Universal system ensures best-in-class strength and universal compatibility. Regardless of the cement type, composite, or core build-up material, this two-component self-etch system delivers more reliability, less application sensitivity, and one simple protocol. Find out if two is good for you. Find out if two is good for you, download the OptiBond Family Application Guide. This hydrophilic primer has a unique self-etching capability that creates a deeper etching surface for higher mechanical retention. Plus its outstanding ability to penetrate into the dentinal tubules results in powerful bond strength and protection against micro-leakage and post-op sensitivity. The adhesive is hydrophobic and provides an effective chemical bonding with the restoratives material to boost mechanical strength, bond durability, and marginal integrity. The science behind the bond. This patented technology ensures more reliable adhesion to both the tooth structure and the resin material. It contains both acidic phosphate groups and methacrylate functional groups to create better compatibility with both substrates and overall higher bond strength. Together with the GPDM Monomer, the proprietary Ternary Solvent System etches the enamel while promoting priming and sealing of dentin. It leads to more reliable outcomes and less sensitivity to application technique and surfaces. 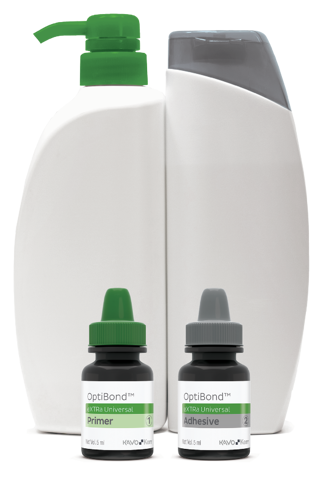 Prior to curing, OptiBond eXTRa Universal features a low pH for effective enamel etching. Post-cure, the pH neutralizes, creating outstanding compatibility with virtually all types of cements, composites and core build-up materials and eliminating the need for auxiliary products. Built on its predecessor OptiBond™ XTR, the new eXTRa Universal carries the tradition of providing the gold standard in adhesion for dentists. 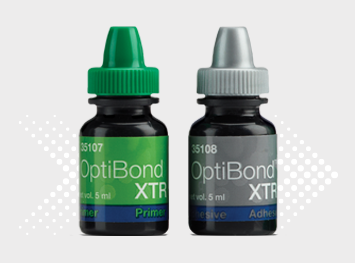 The OptiBond product line is formulated with our signature GPDM monomer, which continues to be the backbone of our exceptional bond performance and over 20 years of trusted, successful products. Limited time only. Offer only available to residents within the U.S. Limit one sample per office. OptiBond™ eXTRa Universal is a trademark of KaVo Kerr. All other marks are trademarks of their respective companies.